Tara is no stranger to creativity. It all started while she was in Washington, DC working as an Avid Editor for the Discovery Channels, NBC News and CBS News. Before taking the leap to start a new life in Australia, Tara edited The Five Keys to Mastery documentary. Since leaving Washington DC, Tara has worked in all facets of the television industry from building professional broadcast edit systems, to creating network brand campaigns and launching internet channels like HealthyMEtv! She also has over ten years experience working for the Seven and Nine Networks as a promotions producer. Tara’s experience also includes writing, producing and editing opening show teasers. Some of her episodes include House Rules and Instant Hotel and she recently finished up editing the Xventure Family Challenge which will air on Network Ten. 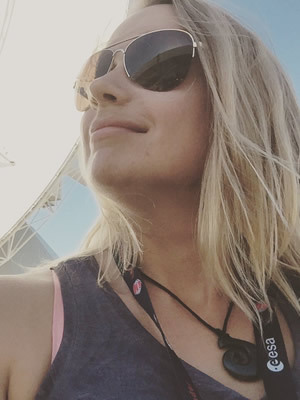 Tara’s copywriting and social media experience has taken her around the world to cover events with the likes of NASA, European Space Agency (ESA) and private space companies. With Tara, you’re not only getting an experienced editor but someone with branding experience, social media content creation and campaigns.